Irving asked Dan Gilbert for a change in scenery, and in doing so found a change in who he is as a player. He’s become a capable defender rather than a sedentary one, and his renewed activity is creating steals and deflections. Irving is still producing the clever finishes around the rim that made him so good over the years, but the Celtics’ system isn’t entirely dependent on him doing that. Irving opts for isolation on 16.5 percent of his possessions now, as compared to 21.4 percent last season. It allows him to manage the offense Brad Stevens–style, giving others touches and increasing his own catch-and-shoot opportunities. Irving might be seen less (not a mask joke) as a true force, given his slightly diminished stat line. But he’s operating in a balanced system that allows him to lead a team on a 16-win streak. Quietly, almost silently, Horford gets the job done. What’s the job? Basically everything. Scoring in myriad ways. Greasing the offense and moving the ball. D-ing up whoever he has to, wherever he has to on the floor. He's a close second on the Celtics in net rating; the team is 12 points better with him on the floor. 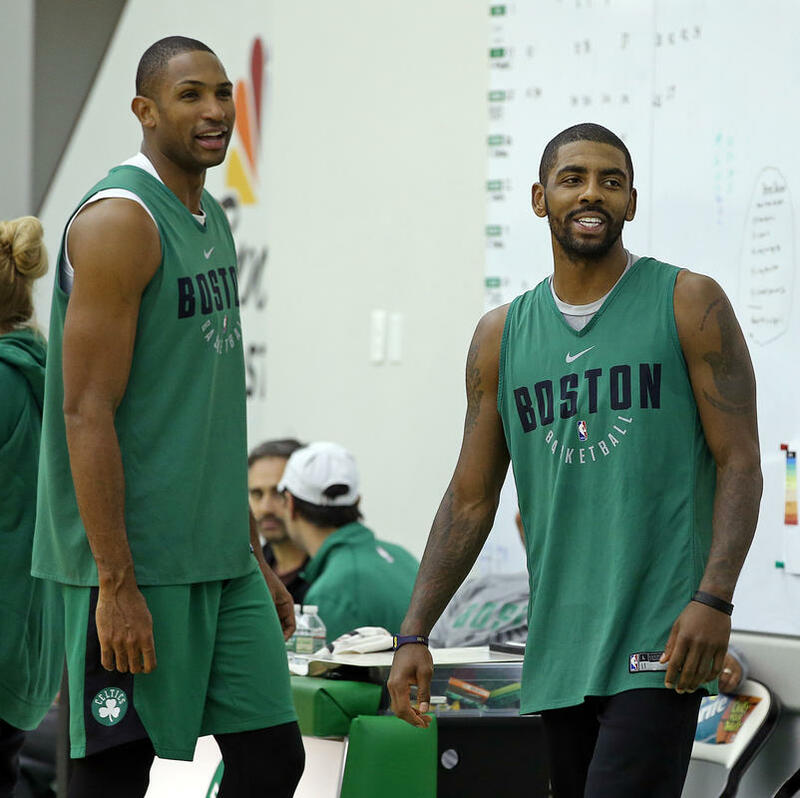 Boston has the best record in the league and Horford is its most indispensable player. And he knows what shape the earth is. I agree with the Kyrie rating at number six, but I feel Al should have been rated ahead of Green and Porzingis. Concepcion's analysis is well-based, but his words "quietly, almost silently ... gets the job done" partially explains why Horford often gets short-changed. But overall, I felt the ratings of the two Celtics were fair, and the explanations of those ratings were well done. Having two of the best 13 players, along with a lot of talented teammates, is not a bad place to be, particularly with a 22-5 record.